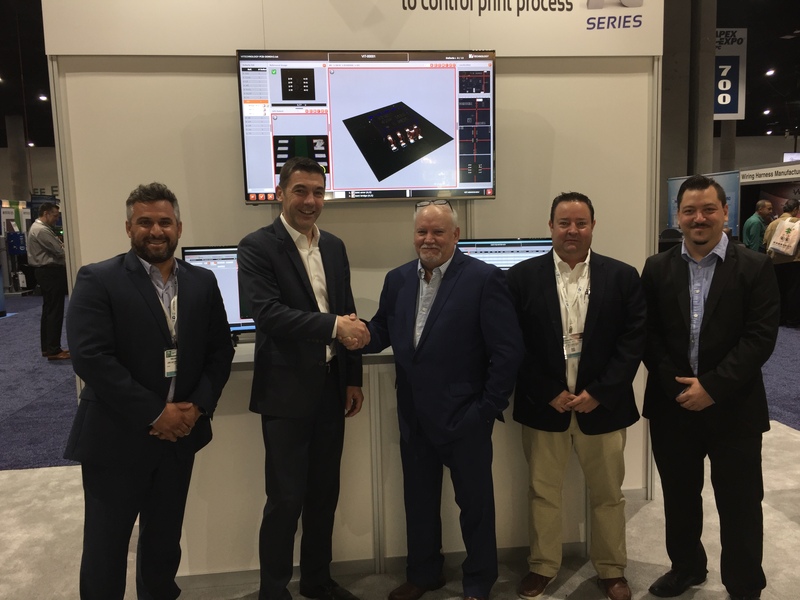 Saint-Egrève, France, March 2017 — Vi TECHNOLOGY, the leading provider of 3D inspection solutions for PCB assembly, is pleased to announce its expanded relationship with MaCon Máquinas y Consumibles. MaCon has been successful with the sales of Vi TECHNOLOGY’s AOI Systems in Argentina, and is adding the award-winning PI Series to its line card. MaCon is becoming the sole distributor of the complete 3D Solutions in Argentina, including 3D SPI, 3D AOI and Sigma Link. The PI Series has been recognized by the industry as the most innovative SPI product since the introduction of Moiré systems. Outstanding accuracy and repeatability, auto-programming and unprecedented review are the key differentiating features. Since its introduction, PI Series has been installed largely to become the new worldwide best seller for Solder Paste Inspection. The team at Máquinas y Consumibles SRL has more than 35 years of experience in the electronics market. MaCon’s team of highly trained professionals, dedicated to each specialty, are committed to providing excellent support before and after sales. With headquarters in the City of Buenos Aires, and branches in Rio Grande and Ushuaia, the company is able to provide immediate support for its customers. “I know Juan and Emiliano for more than 15 years, and I am convinced that MaCon professionalism along with our complete 3D solution will offer our customers in Argentina new horizon in process control” said Jean-Marc Peallat, VP Global Sales for Vi TECHNOLOGY.